Neon Nightclub is the last dance of the year put on by the freshmen class student government. This year, it will be held on April 5th from 8pm to 11pm. It’s an informal dance and tickets are bought at the door for five dollars. 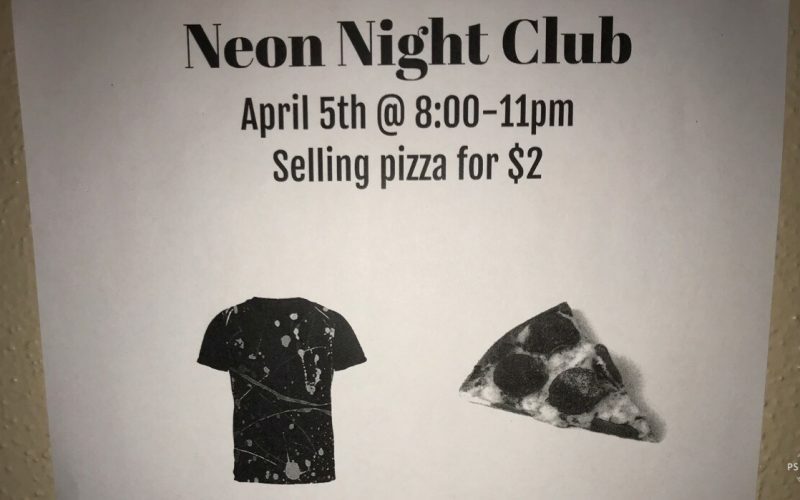 “Attendees can come in all white, that was the black-lights would be able to make themselves glow which will make it fun for them and those around them.” Hence, the name “Neon Nightclub” says freshman class officer, Janice Yang. 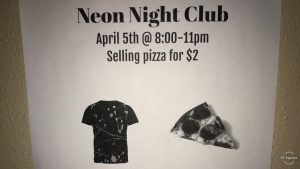 If you’re planning on attending Neon Nightclub, bring $5 and your school ID on April 5th at 8pm. Wear white clothing and keep in mind that the paint is not washable! Volunteers will likely be needed to help clean up, but more information will come as the dance arrives.